Almost everyone has some type of retirement account, whether it’s a pension, IRA, or 401(k). So, it’s important to plan ahead for your estate purposes. One of the first things to know about a retirement account is that your beneficiaries will most likely owe taxes on the retirement accounts passed down to them. Assets like real estate, non-retirement investment accounts, vehicles and life insurance are not counted as income when they are inherited. However, retirement accounts are classified as income in respect of a decedent. The second thing to know is that not all retirement accounts are treated in a similar fashion. A beneficiary who left behind an employer sponsored plan like a pension or a 401(k) will be subjected to more requirements and limitations than IRAs. Many people will name their spouse as their primary beneficiary, but the third thing to know about retirement accounts is that it doesn’t provide any level of protection or preservation for the inherited accounts. Make sure that your broader estate planning objectives match the beneficiary designations. The fourth thing to know about retirement accounts is that there is an increased level of flexibility and protection afforded by passing a retirement account to your beneficiaries via a trust. 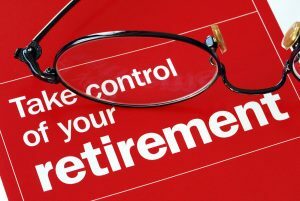 However, retirement trusts have to be drafted appropriately by an experienced estate planning attorney because of the income tax treatment of inherited retirement accounts. Bear in mind that without significant planning, the funds could be subject to the claim of any beneficiary’s judgment, creditors, or bankruptcy. Consulting with an experienced estate planning attorney is one way to avoid these negative consequences.